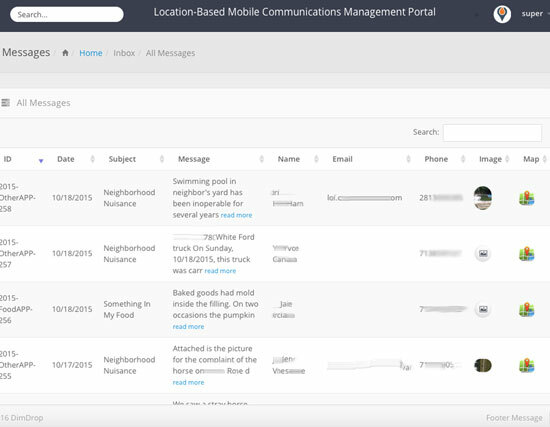 The messaging inbox allows your teams to track all incoming messages in one place. Messages are routed from user mobile devices to team inboxes based on configurable rules and conditions. Message inbox can have any number of configurable columns and include media content such as images and the location of the message origin displayed on a map. Inline search functions and sortable columns provide easy to use filters to find the right message.